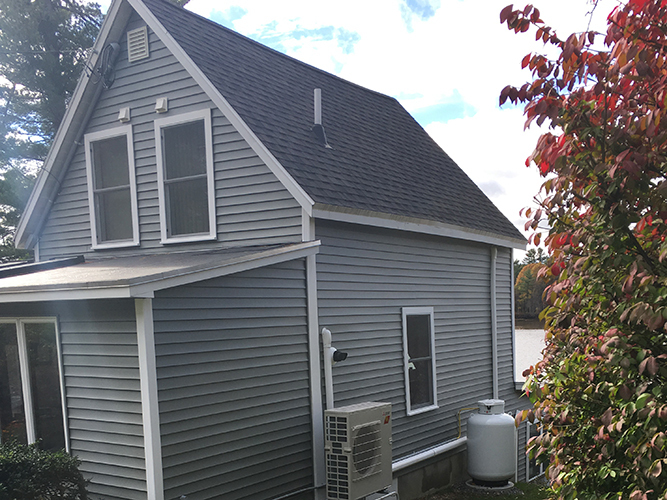 Problem: During renovations, this existing homeowner wanted to make room by getting rid of his existing furnace and the associated ducts, which left the home with no heating system. The home had also never had any air conditioning. 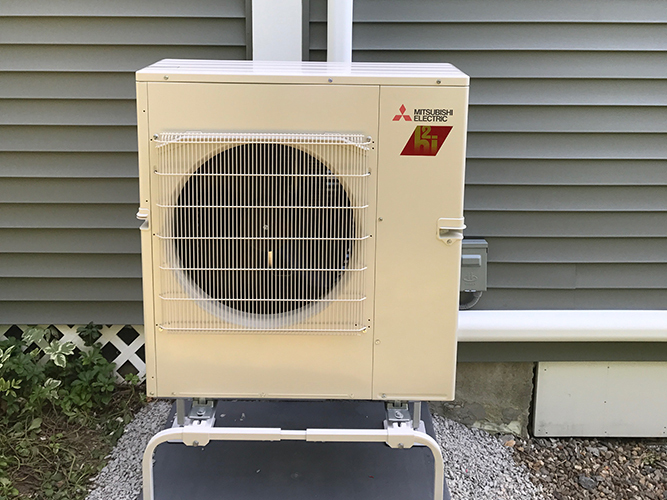 Solution: Mutli-head Mitsubishi ductless hyper-heat system provides primary heat to the home with no need for backup heating of any sort! The air conditioning function of these units will help on hot and muggy summer days, as well. When this homeowner began to renovate a house that he had owned for quite a while, he knew that he wanted to do away with the old oil-fired furnace and associated duct work that was hogging a substantial amount of space in the lower level. Along with the existing equipment, there was a large oil tank stealing floor space as well. 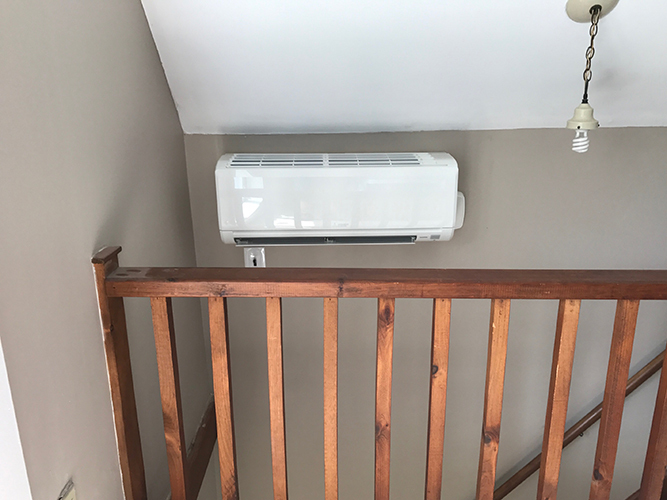 Once we began discussing the ductless solution for heating and cooling, there was no question that it was the right direction for this project. 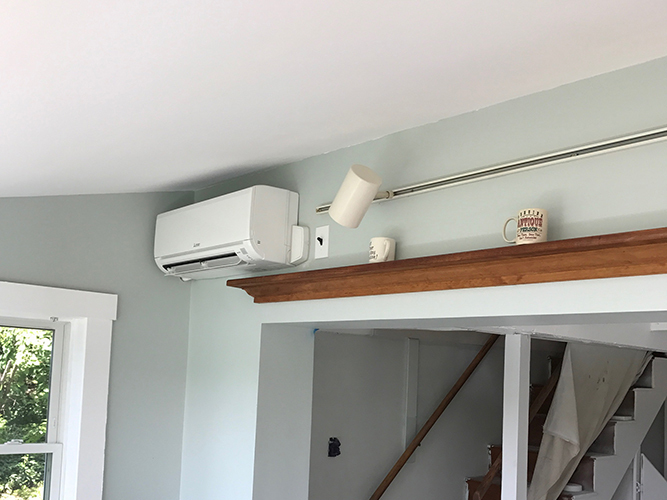 We installed a single outdoor unit, along with an indoor head in the main living area, one up in the master bedroom, and one in the lower level. The entire home is now heated and cooled by three individual comfort zones of Mitsubishi Electric ductless.